May 2013 : Frankfurt Edition! February 2013 : NAMM Edition! Exclusive Interview from Brazil : Samp! Since early childhood, I started digging music from my parents CD’s, where I found my first influences: Eric Clapton, The Police & Pink Floyd. From age of 3 to 10 that was it. I started to play guitar when I was 12 years old, a year afterwards I personally met one of my major influences on guitar: Jimmy Page. And since that day, I never put down the guitar. As s teenager I was listening to lots of different genres. I was hooked up on Joe Satriani, but I was also listening to Oscar Peterson, Ben Webster, Ella Fitzgerald, B.B.King and Sinatra because my mother was constantly listening to them at home. While my father was passionate about Steely Dan, U2, Boston, The Rolling Stones and of course, Tom Jobim. I was definitely very influenced by Eddie Van Halen in my early twenties, and have always considered myself very hard-rock oriented. From AC/DC to Guns N’Roses, Kiss, Whitesnake, Bon Jovi, Aerosmith, Led Zeppelin.. Well the list goes on and on.. But if I had to pick just one, which is a VERY hard thing to do with so many amazing players, I would definitely pick Jimmy Page. Not only because of his music, but since I had the opportunity to personally met him, not once but several times during my teens, I can securely say he influenced me the most. Jimmy gave me so many great insights and advice. I will be forever grateful for that. 2) What are you working on now? I am currently recording my new solo album, which will feature lots of guests from all over the globe. Some from New York, others from Rio de Janeiro – Brazil, and also a great singer from Johannesburg, South Africa. Then, I am moving to London, UK. 3) What is the role of education in music? Music represents so much of the culture of one nation, of a generation, of individuals. Try to put music in words.. It’s impossible. I mean, I am sure you can, but do you really think words do justice to this divine thing music is? Music has completely changed my life – has shaped me into who I am today, have kept me out of trouble and focused on what was really important for me. I have been a private guitar instructor for a bit over than 6 years now, so I have seen the impact music has caused in people’s lives. It simply changes it, for the better. The more educated and cultured people get, more positive, intelligent and respectful the society becomes and therefore, more value the profession gets, stimulating new aspiring musicians and artists. Education is everything. It would be great to see in the future, a world where schools around the globe would offer music classes. 4) How do you feel about the current ‘state of the music industry’? As far as my understanding goes, I feel like we are in the middle of a shift, a transition, reflections from the technology revolution. The modern music industry as we know nowadays is a little older than a century, right? And music exists ever since humanity started. So what is happening right now, is a shift, a period of adaptation, which measured in time – it’s nothing if compared to all the years of existence of the music industry. Illegal downloads are being prohibited world-wide, and eventually we will get to a point where no one will ever be able to illegally download a song anymore. The world has changed a lot, and in record time actually. For example: Facebook is the largest media company in the world, but doesn’t produce any content. Air B’n’B is the biggest accommodation company in the world, but they actually don’t own any property. Same with Uber – the biggest taxi company ever, they do not own a single car in their fleet. My point being is, everything has changed. And now we are all adapting to these new circumstances, creating new rules, laws, roles, jobs and basically, doing tests so that eventually we gonna have better answers, and therefore a more solid, fair and remunerated system – or market if you will – to our music industry. I would say, I am definitely optimistic about it. 5) Why do use Pickboy picks? Well, firstly I simply love them. I really love heavy picks, but I also like the feel of a slim pick, with a nice grip on it. It seems quite impossible to get that combination, but Pickboy just nailed it. So many great picks, the Pos-a-grip series, or the Classic one – either the Vintage or the Luminous. Secondly, I strong believe that in an era with thousands of great players everywhere, with boosted exposure granted by the Internet era, it becomes quite hard to be highlighted as an unique player among so many great ones. Considering that, in the beginning of my career I chose build for myself a killer setup which would give me the most unique tone ever, in some sort of way. And the most important part of your tone is definitely your hands and your approach towards the guitar. Having a pick in your hands that feels so great, almost like if it was glued to your fingers, becoming part of them, it’s absolutely priceless. 6) What gave you the idea to take Pickboy on location? That’s a good one! Where to start..? I am very passionate about photography and I think the world we live in has lots of stunning places, and incredible landscapes. When advertising gear, usually artists take shots from the stage or inside a studio – which is cool too – but I felt like there was something missing. I was thinking to myself, what kinda shot would be really inspiring? How can I, somehow, enrich people’s cultural lives unintentionally but at the same time, directly? Because that’s what it is. When sharing those shots, which through a common interest (in this case the Pickboy picks), connects with many others, we end up sharing the world with them. Famous sights, breath-taking landscapes from places that maybe none of them have ever been, wouldn’t dream of going, or maybe can relate to, because they have been there before or they live there – especially knowing that Pickboy is such an international brand! 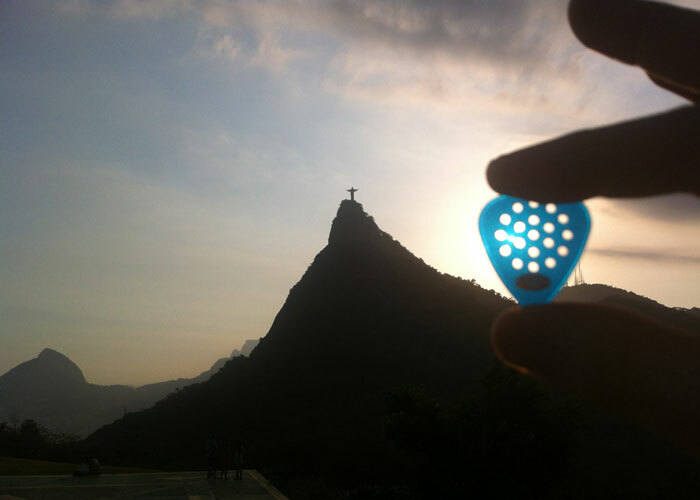 So it all started when I was back in Rio de Janeiro, Brazil, visiting my family, doing a few sessions, and suddenly I found myself in the middle of such an exotic city, with breath taking sightseeing places, a camera in my hands and my famous Blue Pick from Pickboy in my pocket.. You can imagine the result. After a very positive feedback from fans, I knew I had hit something and now I am constantly exploring new and exquisite places, always looking for the next shot. Learn more about Samp here. 1) Tell us about your musical background? I am self taught on guitar. Although I sometimes say community taught. I used to hang out with some great guitar players and all around musicians. I understand music theory well. Reading charts , not so well. :0). I grew up in Brooklyn and Far Rockaway Queens. Steve Stevens from Billy Idol’s band grew up in the Rockaways as well. He was the local rock hero and left a lasting impression on me. So was Jeff Thall from Bryan Ferry. In high school years I got in to Prince, Nile Rogers, and a few other great guitar players. I didn’t start thinking about tones until I played in a rock trio cover band called Currier. We did Rush and The Police songs. I had two big pedalboards to cover the wide variety of tones and special effects. Magic times for me when look back on it. Education is extremely Important. There’s so many things involved. It’s good to learn not only how to play but finances, business, web design and marketing are almost as important as scales and chord clusters. But learn the scales and cord clusters first. Keeping music on any level in schools is a big thing with me. I sometimes work with a org called “Guitars in the Classroom” please google them and see if you can help join or contribute in any way. It’s a great time and a hard time to be in music right now. Technology is moving so fast. It’s amazing. The possibilities are staggering. Figuring out how to make a living and stand out in this time period can be intimidating. But it’s great that you can write a song and multitrack record it on your tablet and video that on your smart phone. Master it on your laptop and up load it to the iTunes Store and YouTube, all in a day. But then how do you get people to listen and view it. And then to …… Pay for it (buy it)? 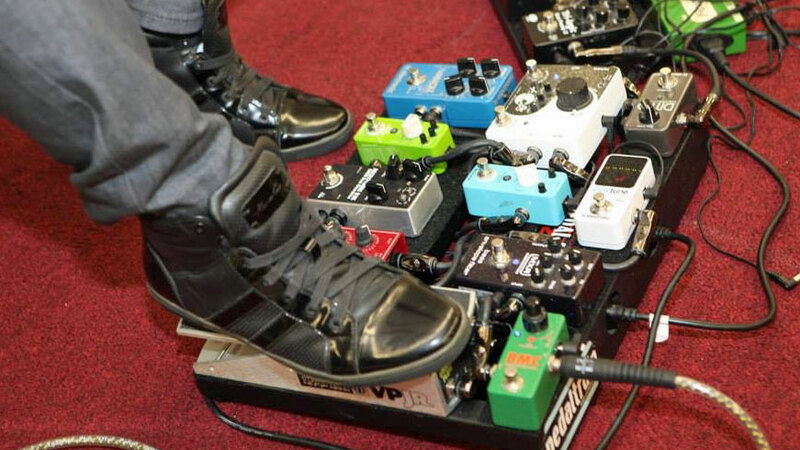 5) Why do you use or what do you like about the MxD pedal? I love pedals I have quite a few still. It’s great to have a pedal that I can plug right into a small Fender-ish type amp and at the click of a button go from that Fender clean to a full on Plexi style tone. It excels at getting that narly British crunch out if a small clean amp. Works pretty great with a plexi as well. It was an exciting weekend in London topped with the debut of Rockready. Jason How of Rotosound introduced the Rockready Volo gig bag, Snap Strap, and Ultrastrap to a receptive crowd at Bass Day. More on Rockready in a minute. The highlight of the show were 3 crowd stopping appearances at the Rotosound booth by Doug Wimbish, Mark King, and Billy Sheehan. Each signed autographs for long queues of waiting fans. The attendees were also treated to master classes by Doug, Mark, and Billy. Mixed in with all the artist excitement was Rockready’s debut. 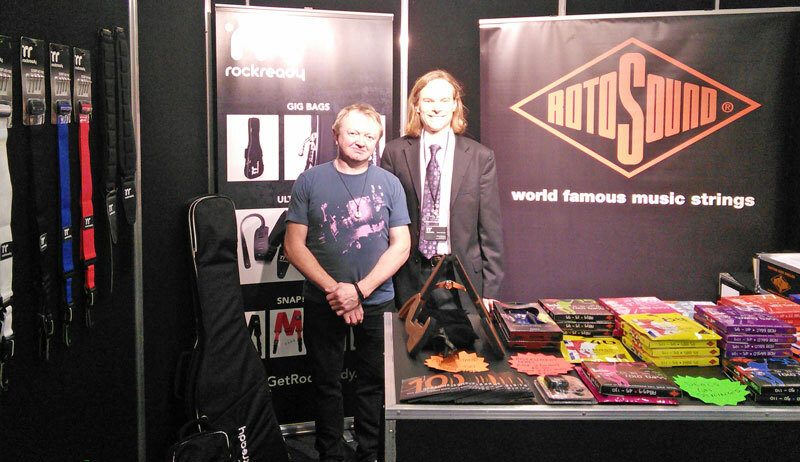 Rotosound will distribute exclusive the Rockready line for the UK. The Rockready line — designed by musicians for musicians — looks to innovate some everyday tools that musicians use. First up the Volo gig bag which addresses many issues with some simple and elegant solutions. Dedicated phone pocket that’s easy to reach, place to keep your keys, backpack style straps for comfort with a chest clip for long treks, reflective piping for nighttime safety, locking zipper for security, neck holder, body protector, and the list goes on. There is also an optional Tote bag with dedicated iPad or tablet pocket perfect for breaking out of session or one it’s own. Did you attend the 2015 Winter NAMMM show? If not let us wrap up what’s new and improved with the Osiamo Music Gear family of brands. 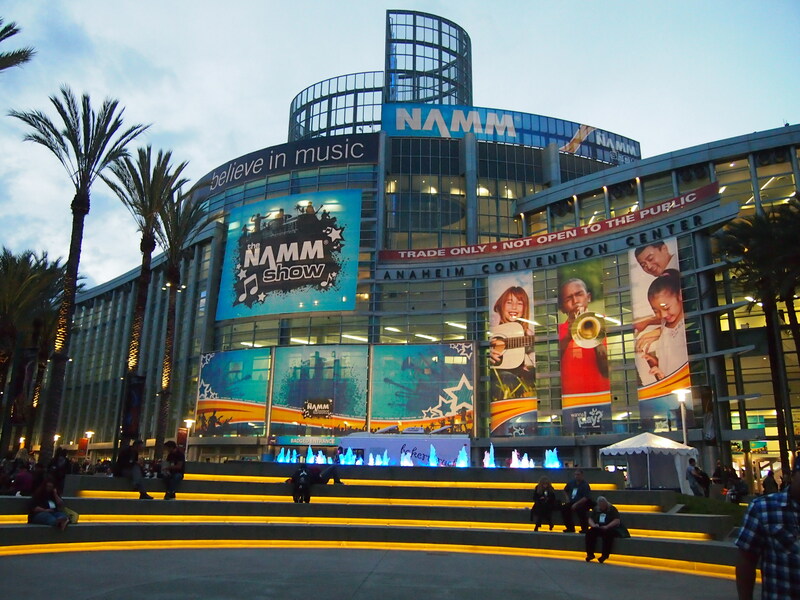 Rockready Takes NAMM 2015 By Storm! Com ing soon from Rockready a full range of gig tested guitar accessories for the performing musician. First up, the Rockready Aereo gig bag, available in guitar and bass versions. 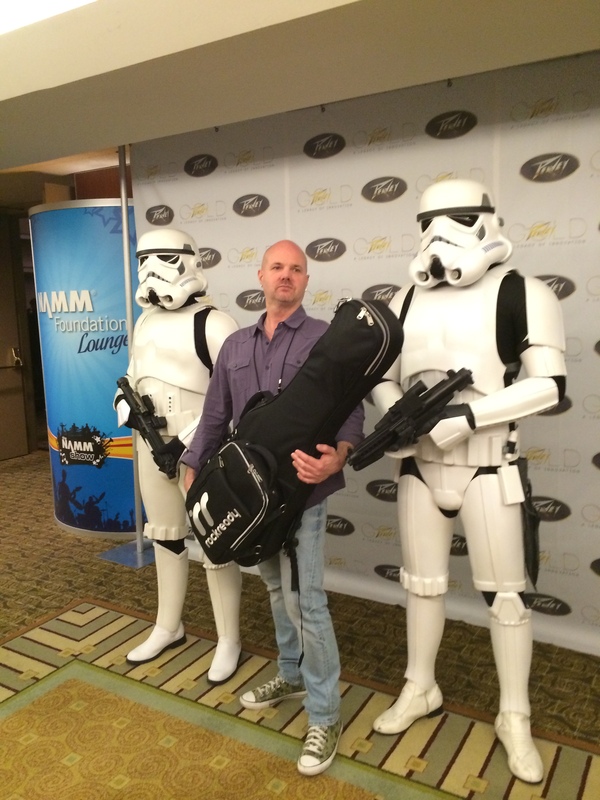 Neal Walter received some great feedback about the bag from NAMM attendees. The Compdriver : New from Dr J! 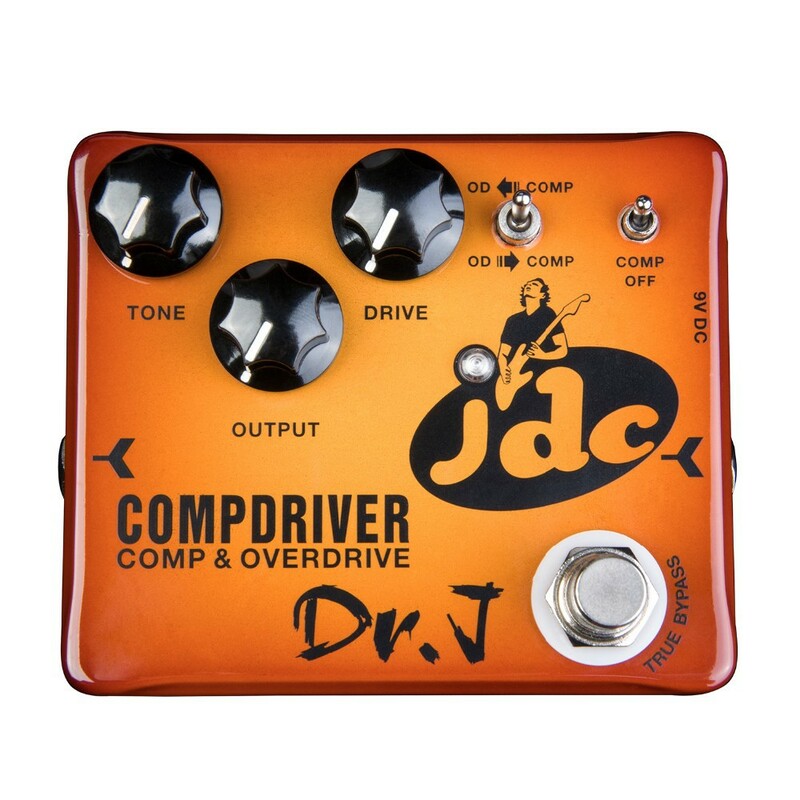 Th e “COMPDRIVER” is a signature pedal of Dr J endorsee, Jose de Castro. This new Dr J pedal combines an overdrive and a compressor effect. With the two 2-way switches you can control the position of the compressor (before or after the overdrive), or you can turn it off. The tone of the overdrive was sculpted with Jose’s input. The overdrive is very clear and rises above your band when you kick it in! “Pedal Love r”, a new Tube Amplifier, by compact pedal master Dr. J, specially designed for pedal users for use in small space occasions. With excellent tone reducibility and compatibility the Pedal Lover Amp can embody the tone of pedals and electric guitar at a very high level. Elegant white appearance makes it easy to co-ordinate with home decor perfectly. The amp uses a CLASSIC A circuit design and the cabinet a Celestion Vintage 30 speaker giving excellent performance, and clear tone and distortion. There is no need to worry about neighbors knocking on your door. By using a switchable output power between 3.5W and 1W you can get outstanding tone at any volume. Best choice for compact pedal users! The Mooer Micro Looper pedal packs 30 minutes of recording and unlimited overdubbing into a micro pedal size! The foot switch can be used to select record, play, stop, layer recordings, and delete recordings.The Mooer micro looper pedal is constructed with a full metal shell and is powered by a DC 9V adapter power supply (not included). Stay tuned for the first look video from Neal next week! Click here for more details on the Mooer Micro Looper. John Bendy was born in Brooklyn, New York October, 5 1980. He started playing guitar at age 10 and his first gig was a school talent show at age 12 after just 2 years of playing. Since then there have been hundreds upon hundreds of gigs and late night jams. Early in the 2000s John was taken under the wing of blues masters Bill Perry and Popa Chubby. He also shared the stage with the Bendy Pastorius Group of which he was a founding member along with his brother Mike Bendy on bass and Julius Pastorius on the drums since 2007. John played guitar on Chrissie O’Dell’s 2010 release “If I Had a Dime” which charted extremely well on blues music charts around the nation. Also in 2010 John started playing with the Hipster Assassins featuring Felix Pastorius and Mike Bendy on bass, Chris Ward on saxophone, Michael Purcell on piano and Kenny Growhowski on drums. The band would go on to have a two year Monday night residency at New York City’s Zinc Bar where John was able to share the stage with such luminaries Jeff Coffin (Dave Matthews Band) and Roy Hargrove. 2013 found John in Felix Pastorius’ The Social Experiment (1313) as well as the group Bendy Effect which he leads with his brother Mike. Here’s a short YouTube playlist where you can hear some of John’s inventive guitar work. We’ve had him perform in our booth at NAMM, Brooklyn Guitar Show and have had the pleasure of catching him live numerous times at the 55 Bar and the Zinc Bar. The story continues in 2014 and beyond. If you get a chance go see John play live. John uses the Ana Echo, Hustle Drive, Ninety Orange, and Trelicopter, from the Mooer micro series. Joshua Lozada hitting with Mooer Pedals! 1) For those not familiar tell us a bit about your career? I’ve been playing bass for 17 years. My beginnings were in my local church and through the years, has grown to International travel with worship leaders and Christian Artists. I have also expanded outside of the Christian/Gospel market in live performances with Hip Hop & R&B acts throughout NYC. 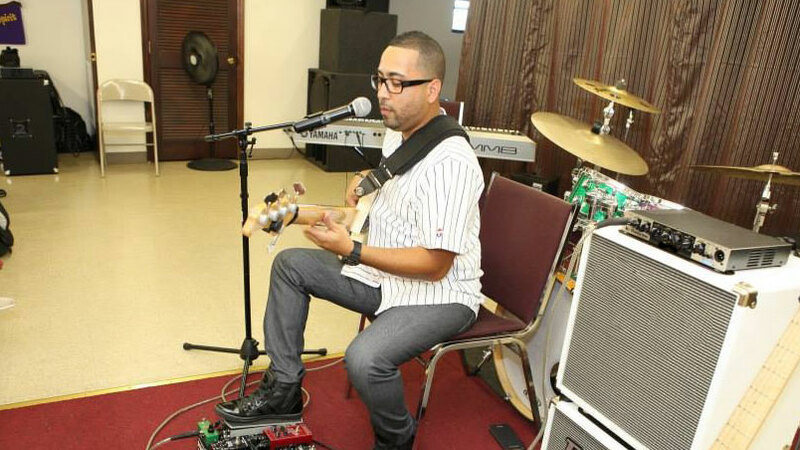 Salsa music and Latin Jazz, was a big influence in my development as a bass player and my introduction to being a professional musician. As the genre began lose some of it’s momentum in a live performance setting, I found myself getting more involved in R&B and Rock music as a means to earn a living. With the increasing popularity of Christian Contemporary Music in houses of worship throughout the world, I now find myself fully immersed in that scene and staying very busy. 2) What do you see coming up for the future of music? It’s tough to say. We’ve seen the ever expanding world of technology used in music and things have drastically changed. From the recording process to the distribution of the final product, technology is showing itself to be more relevant. I’ve benefited from tracking bass from my home but it’ll never replace getting together with great musicians in one room and hitting the record button to bring that feel to life. But the reality is that space is expensive and the pure convenience of recording virtually is appealing to many. Also, accessibility to musicians that you may have not been able to get in a studio to record your project is now possible thru virtual recording sessions and social media. As we’ve seen, technology has hurt many artists financially and I can only hope that this tide will turn in their favor in the near future so that good music can be created and the people that bring it to us can earn their living and continue to be inspired to create. 3) What role has music education played in your life? 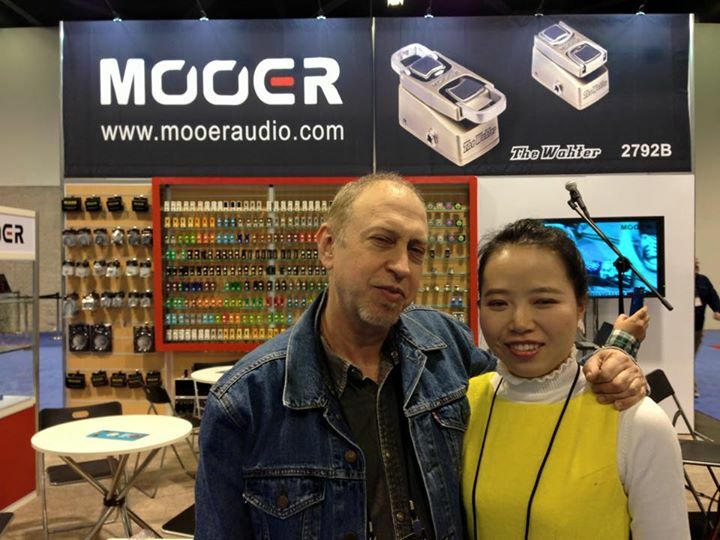 4) Why are you using Mooer pedals? I was first attracted to Mooer Pedals because of their size. Real estate on a pedal board is precious and I wanted to get the most out of the space but when I finally tried out some of the Mooer Pedals, I found that it was way more than just it’s small size. They are built extremely well, and they sound amazing. Most products can give you one thing but you’ll normally find that it’s a trade-off but I’m getting the compact size with an amazing effect in a well built pedal. It’s a win-win. I’ve been using the Mod Factory and the Ensemble King as a main stay in my pedal board and I couldn’t be happier. Amazing pedals! 5) What future projects do you have coming up? I’ve been working on a solo demo for about a year now. I’m hoping to release something by the end of the year, time permitting. I’ll be continuing my travels in Latin America, US and Canada throughout the year with Ingrid Rosario and you can normally find me on Sunday’s at Christ Church in NJ. 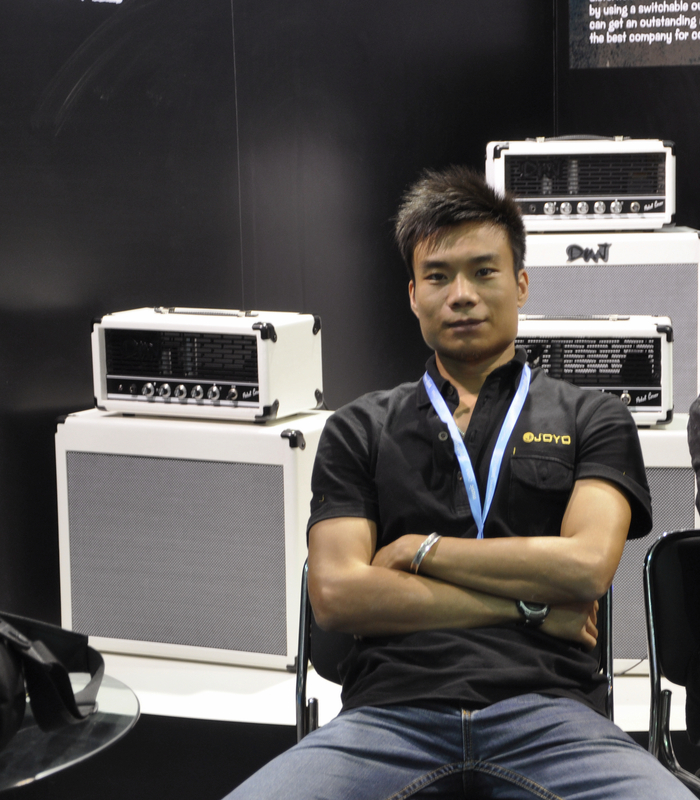 Osiamo Music Gear Goes International, endorses Brazilian Guitarist Pedro Sampaio! 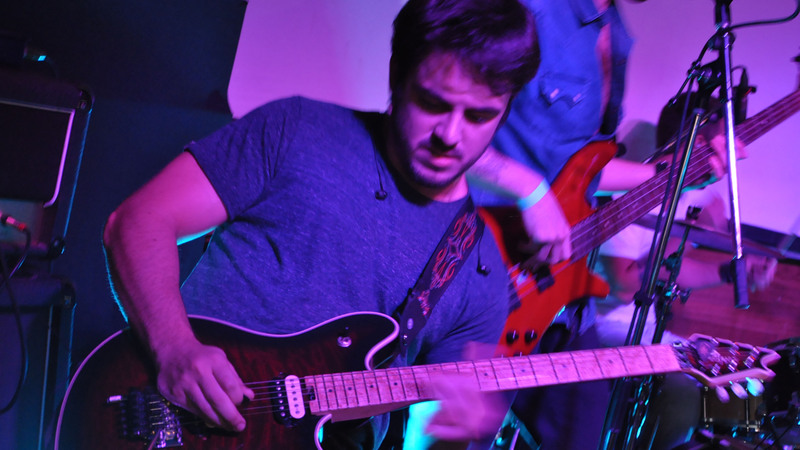 Pedro Sampaio, aka, Samp, born in Rio de Janeiro, Brazil, and now 24 years old is a session guitarist, songwriter, film composer and guitar instructor. Since early childhood, Samp started digging music from his parents CDs, where he got his first influences: Eric Clapton, The Police & Pink Floyd. He started playing guitar when he was 12, a year after he personally met one his major influences on guitar, Jimmy Page. Since that day, he has never put his guitar down. Samp kicks-off his career at 19, when he started giving guitar lessons. Soon after he started doing studios sessions in Rio de Janeiro. Those sessions brought a few opportunities for Samp. Mainly composing soundtracks for movies, and also inspired him to start his first band Antenna. Samp recorded his first album with the band Antenna and recorded a live DVD with the band, which you can see in this teaser. In 2014 Samp moved to New York City to attend an internship at the widely-known Big Foote Music + Sound studios. He recorded guitar and also got the chance to get acquainted with recording jingles for commercials. 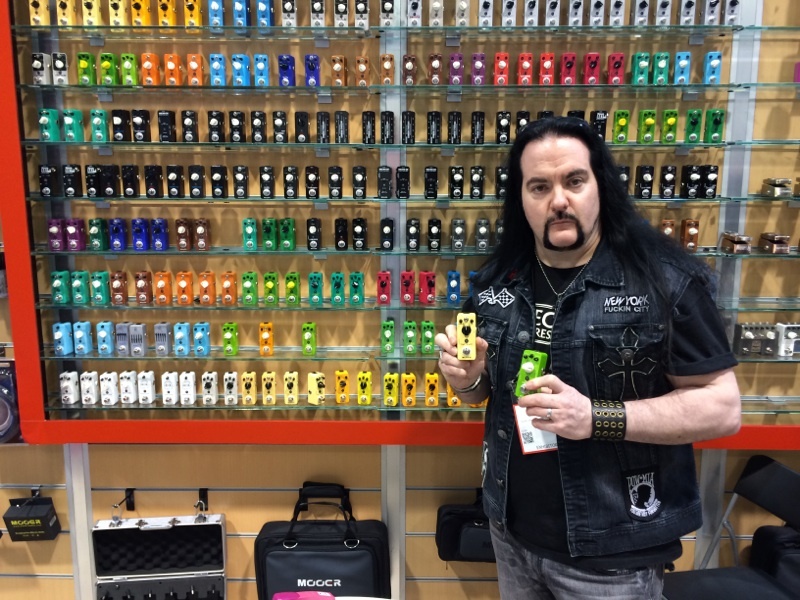 Samp plays PICKBOY picks which is the pick of choice for other successful artists such as John Mayer, Lita Ford, John Murphy, Jay Gore and Duane T. Jones.